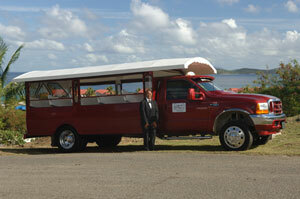 Enjoy our cool, island breezes in our open-air safaris! In addition to being a great way to see our island's beauty, it is also quite affordable. Our safaris are an ideal choice for large groups up to 25 persons, and offer a relaxed, casual style of island transportation.